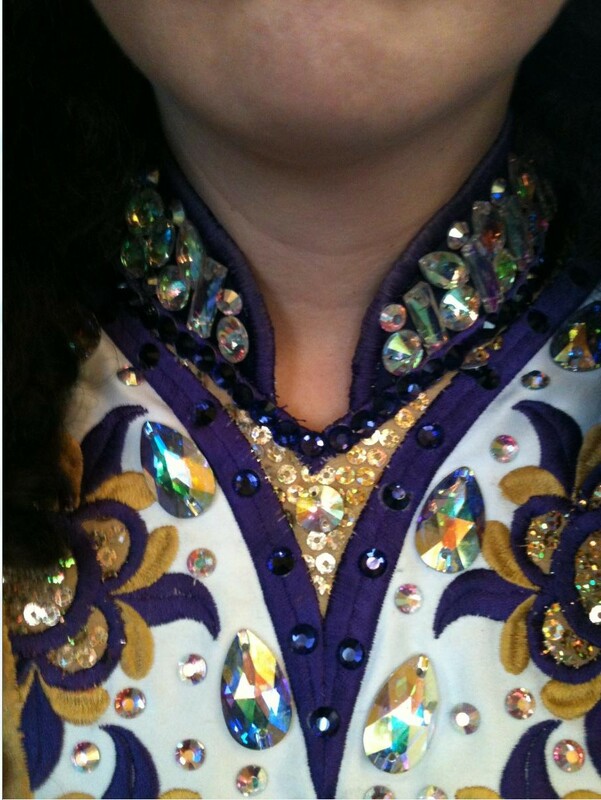 Lovely sparkly teen solo for sale, only 9 months old. 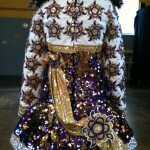 Bright purple and gold reversible sequin and white satin. Heavily appliqued gold sequin floral design on sleeves and bodice. 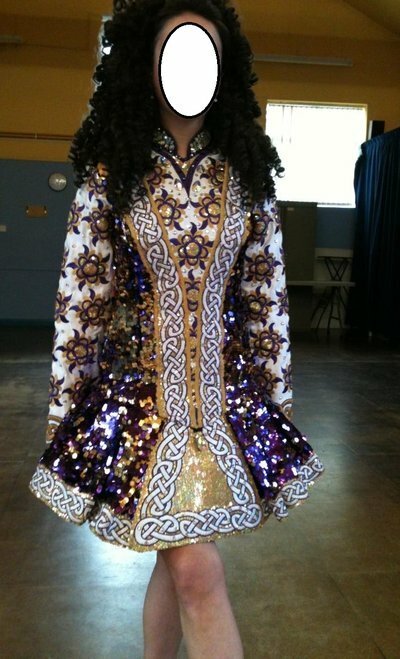 Traditional celtic knotwork runs from shoulders, through the small centre panel and around the skirt hem. There is a stoned mandarin collar and a draped gold sequin shawl, the bodice and sleeves are scattered with AB stones. 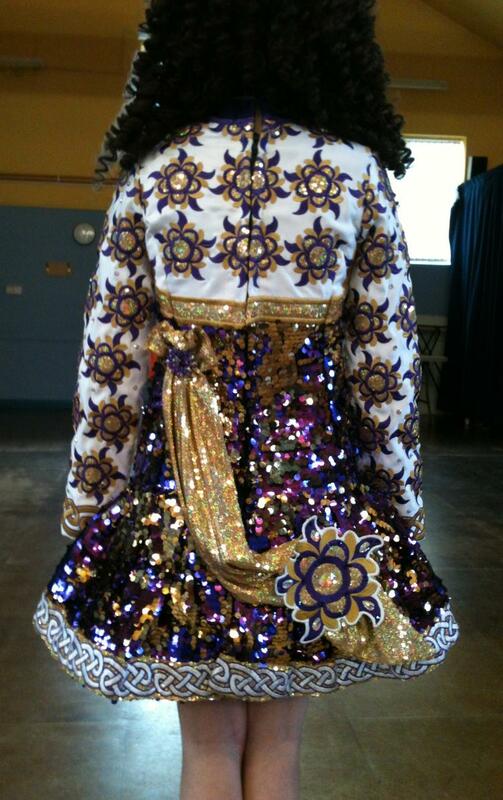 Dress is sold with gold bloomers. 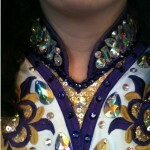 Worn by a petite senior dancer who has just retired from competition.